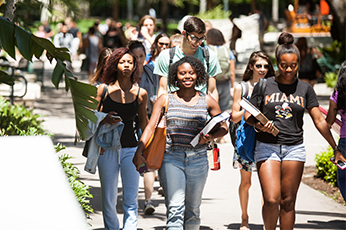 Everyone who applies to UM is considered for an academic scholarship - there's no separate application! Apply for admission EARLY- View application deadline information for freshmen, transfers and international students. To be considered for need-based aid, submit the CSS Profile, FAFSA, and other additional documents, if applicable. International students can and are required to submit the CSS Profile to be considered for need-based institutional aid. Always check with the Office of Financial Assistance and Employment when adding any awards from outside agencies. Familiarize yourself with our Terms and Conditions.